There was a policy with regard to lighting at the very beginning of modern urban society. Police regulations stated that “anyone encountered at an unusual time, in unusual places, and without light”, “will be subject to the strictest of searches”. For Paris, a decree passed in 1551 stipulated that “a lantern be hung so visibly from the first-floor window sill that there is sufficient light in the street”. The emergence of the absolutist state saw the private domestic lantern become “a standard lantern, a rectangular glass case, in which a candle burned”, as the German publicist and historian Wolfgang Schivelbusch recapitulates in “Lichtblicke”, his cultural history of “artificial brightness”. And as if that were not enough: The new lanterns were attached to a rope suspended across the street, right in the middle – little suns that represented the Sun King. As such, lanterns were destroyed in the French revolution and their gallows-like mounting converted for “lanterning” purposes, i.e., executing unpopular representative of the “ancien régime”. Just like, as of the 19th century, new technologies for providing urban illumination were celebrated, and those previously regarded as innovative were dismissed as being old-fashioned and out of date, Schivelbusch’s work states: “A gas candelabra gives more light than twenty standard oil lamps. The light is wonderfully white and bright,” a London chronicler judged in 1807. As early as 1850 there were new visual standards in force in Saint Petersburg: “The light from the gas lamps seemed harsh and rusty, whereas the electric light was a dazzling white.” The advent of electric arc lamps changed things yet again: “In the middle of the night there is bright daylight”, an 1880 report read, comparing how the eye adapted to lighting that differed on wide boulevards and side roads and alleys, lit as these were by “feeble and dull gas lamps”. Nonetheless, for a long time both technologies developed in parallel and (depending on the purpose of their use) were considered as being particularly economical. The yellow light given off by electric sodium vapor lamps was hardly a hindrance on busy intersections and roads; though the color reproduction was not exactly true it did offer good contrast vision. Even in the present day gas lamps fulfill a certain function, mainly in residential areas in Berlin, Düsseldorf, and Frankfurt/Main. And nowadays? The principle would appear to have long since been clear: The lighting systems used through the ages for streets and plazas, such as gas light and that given off by electric sodium, mercury, and halogen vapor lamps are yesterday, and should be replaced as quickly as possible by new LED-based lamps. Economic considerations and regulations such as the European Eco-design Directive are resulting in municipalities rethinking their lighting systems. Based on electronic semi-conductors, these systems have a whole catalog of advantages – and not just in theory: Low electricity consumption thanks to a higher light output per Watt, pinpoint lighting, long-life illuminants, low maintenance and reduced vulnerability to vandalism. What’s more, the new luminaires can be integrated in smart city systems. Not just since the arrival of self-driving cars on our roads has the networking of urban infrastructure become an issue. Alongside technical questions, for example whether in future lighting columns should also serve as electric charging stations for e-mobility or not, whether they should also serve as the masts for an urban Wi-Fi network, and how the light can be adapted to the surrounding weather conditions, it is becoming a much-discussed topic. In short: The new technology is becoming more complex. And the greater the requirements, the higher the costs of the change will be. The City of Bielefeld, for example, finished converting its street lighting to LED as long ago as 2014. 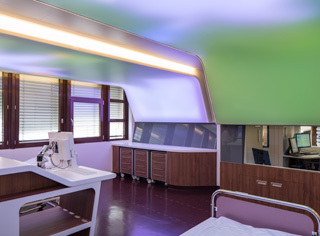 As of 2011, around 14,800 conventional luminaire heads were replaced in three stages with LEDs made by WE-EF and Trilux. With a view to achieving optimum lighting in residential roads (with around 1,1200 luminaires a major feature of the project) the columns were extended to a height of five meters. Compared with consumption in 2010 there are annual savings of around five million kilowatt hours. This also spells a reduction in CO2 emissions of 3,000 tons per year. As far as energy and maintenance costs are concerned, depending on the price of electricity, more than one million euros a year can be saved. Almost three quarters of the total cost of 9.6 million euros were covered by the city itself. Central government subsidized the project to the tune of 2.5 million euros. 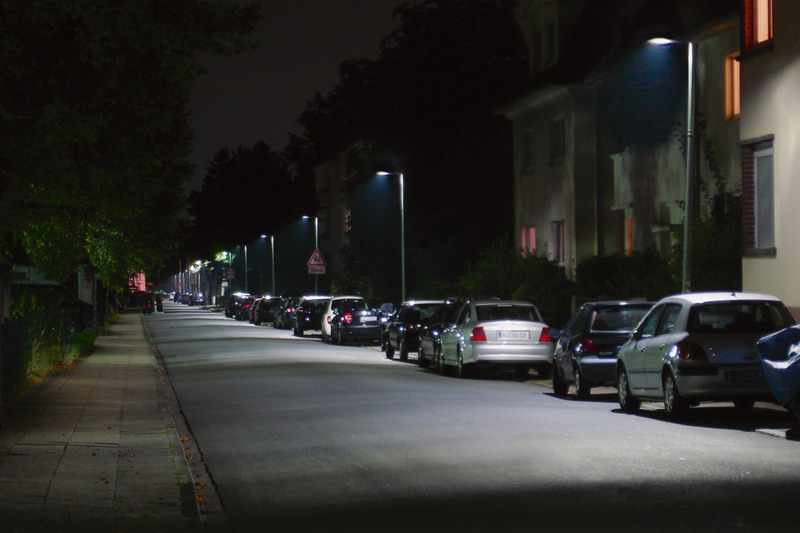 “Areas with uniform lighting within the city limits”, insect-friendly light and lower levels of light pollution through targeted light were further positive side effects. Although as part of the conversion work there has often been talk of a reduction in the number of “light points”, in Bielefeld measures were taken to correct the distance of 50 to 80 meters between columns, which was too far. This is because given the directional light emitted by LEDs, the dark zone between the illuminated areas seem even darker than before. Not in all municipalities is the lighting issue so clear cut: In Berlin and Frankfurt, for example, the exit from gas light technology is highly controversial. The cost of installing a new infrastructure is far higher than in Bielefeld. As such, to a considerable extent Berlin and Frankfurt are still investing in conventional lighting technology. In early 2015, only 600 of the 224,000 streetlamps in Berlin had been converted to LED – and they were part of a model project at that. The Berlin authorities are “dimming” the mercury vapor lamps no longer available in retail outlets its own way: “In the case of columns with two lamps, only one now shines”, “Tagesspiegel” newspaper recently reported. Even if the switch were subsidized, the cash-strapped community would still have to pay 75 million euros for technology and conversion work before it can even begin making savings. 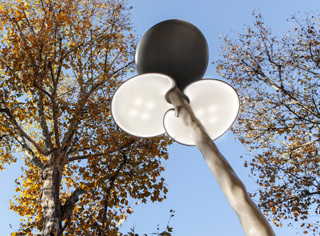 Whereas Milan completed the switch to LEDs for Expo 2015, its partner city Frankfurt will be coping with conversion-related problems for some time to come: There are plans to replace around 5,500 gas lamps for 58 million euros by the year 2025. Even with LEDs it would take a long time to recoup this sort of investment. Yet only less than half the gas lamps will be replaced with cutting-edge technology. The high-pressure mercury vapor lamps shelved by the European Eco-design Directive also have to be scrapped. To the extent that major cities have difficulties coming up with affordable and well thought through solutions, individual projects are highly pleasing: the forecourt at Deutz/Messe station in Cologne is also significant in terms of the history of technology. Called “Ottoplatz”, it is named after Nicolaus August Otto, the co-inventor of the four-stroke engine. Both the station and the forecourt with the monument to Otto now shine in a new light: Designed by the Berlin architects Böhm Benfer Zahiri, the new urban plaza is a neat stone area, albeit with almost no greenery, on what is now the self-confident “schäl sick” or “wrong side” of the Rhine in Cologne. RheinEnergie, a utility company owned by the city and RWE, was responsible for planning the lighting. 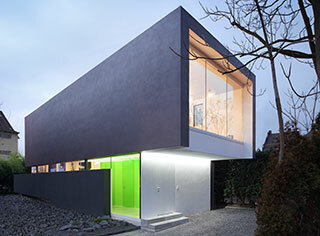 In Gerhard Kleiker it employs its very own light planner, who realized the project with Led manufacturer WE-EF. The plaza and building are lit by means of two almost 18-meter high columns with a striking kink half way up. Spotlights with high-pressure halogen discharge lamps illuminate both the historical railroad building and the plaza. Furthermore, at night the building is floodlit by recessed ground WE-EF LEDs set to different eaves heights. 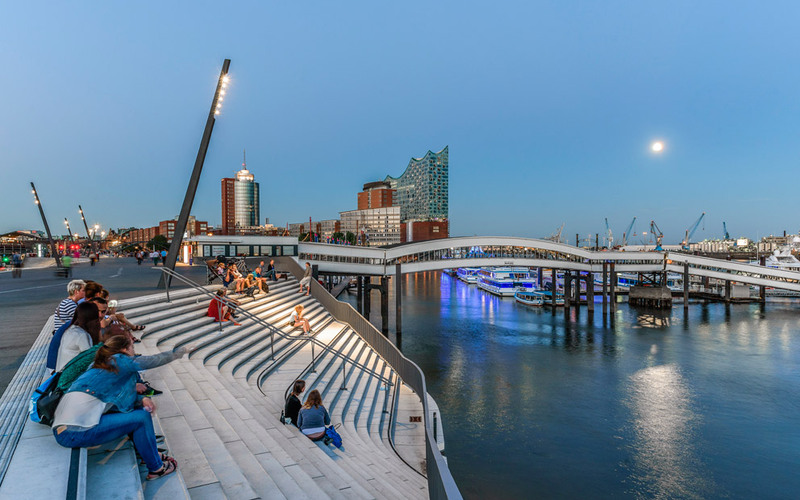 As part of the new promenade in Hamburg Harbor, whose architecture was designed by Zaha Hadid, the light planner Tom Schlotfeldt conceived the light for the flood protection system, which features a promenade and steps. Located between the UNESCO World Cultural Heritage site “Speicherstadt”, the HafenCity development, and the Elbphilharmonie concert hall, the promenade is a new plaza at the heart of Hamburg. 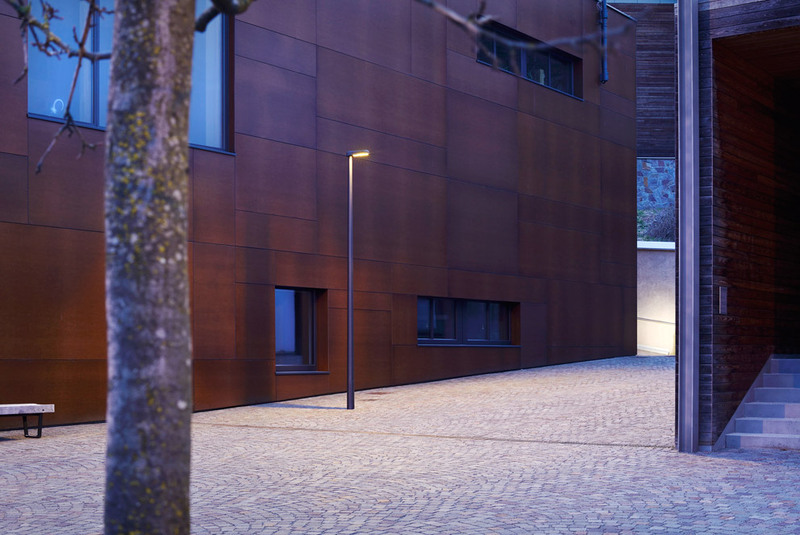 For the project Schlotfeldt designed a special LED light column which was realized by the Berliner luminaire manufacturer Selux. The distances between the columns, which slant at an angle of around 15 degrees and are 6.5 to 8.5 meters high, are between 18 and 40 meters. So as to avoid a stadium atmosphere and make for a more pleasant ambiance, Schlotfeldt deliberately created a contrast between lighter and darker zones. 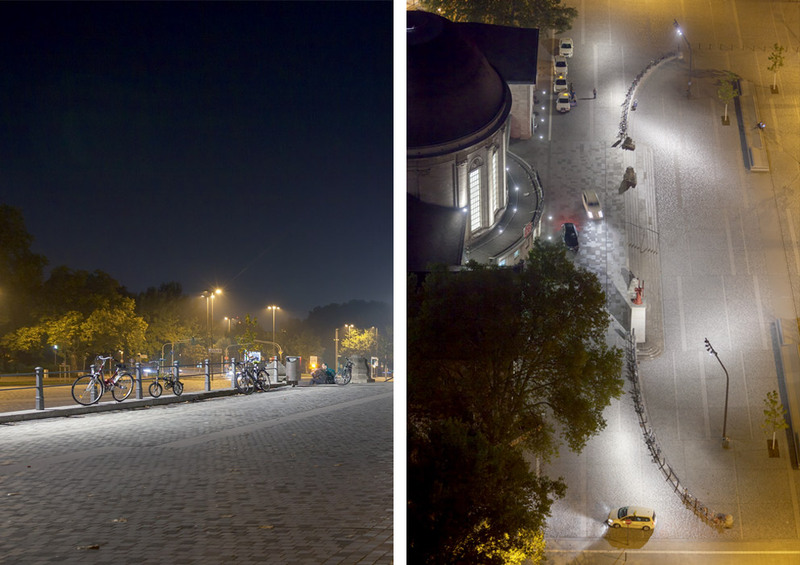 How light changes on streets and plazas, and whether new technology will result in savings and improvements depends not least of all on whether expert designers from the worlds of architecture and light planning can be integrated in projects. Smart lighting, bankrupt electricians and photographed butter dishes: On the advantages and disadvantages of networked homes. 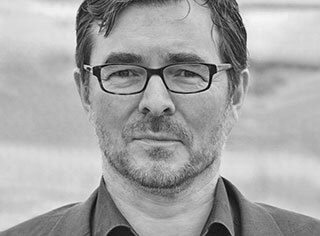 Developer Martin Walter in conversation with Thomas Edelmann.